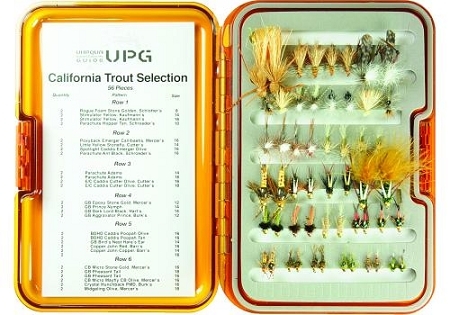 The perfect California Trout Fly Selection in an Umpqua Pro Guide Fly Box. 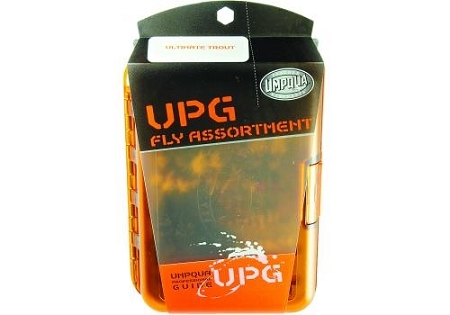 The "go almost anywhere" selection with enough room in the double sided box to add a bunch more flies (the box holds up to 508 flies). A detailed fly list is attached so that you can identify your favorite bugs.